The main priorities of this European funded project are to develop relevant and high quality skills and competences as well as promoting open education and innovative practices in a digital era. Throughout the project, learners will work alongside their peers, their new friends from partner schools and adults from their local communities. 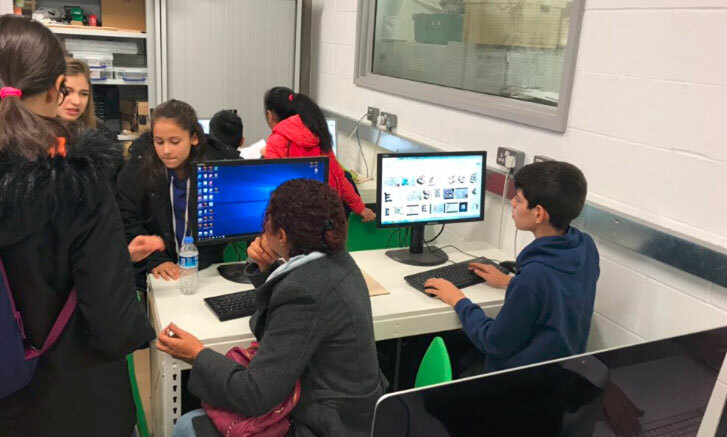 They will learn and develop new digital competence skills, which are becoming increasingly important in many job roles across a variety of sectors, and then teach these new skills to members of their community in workshops open to the public. Such collaboration will foster the development of social and civic intercultural competences, improving social inclusion and equality. The learners were offered a completely new learning environment which was engaging and exciting. They all took part in the laser cutting activity which involved computer aided design and the opportunity to make their design a reality. They learnt about the process of producing a product which they might see for sale in shops, finding out about the design process, how materials are used and what goes into production. They also learnt about the different roles of designers and manufacturers. They were given the option to develop creativity, imagination, evaluation and self-reflection skills during the course of the morning. 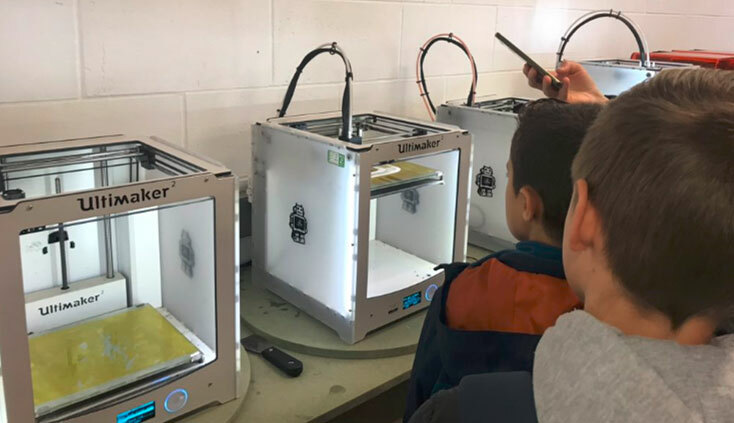 They developed communication skills whilst they worked alongside Fablab staff, and they were given support in order to help them develop their design and create their product. Pupils stated that they thoroughly enjoyed the morning; they were extremely excited when they were told what they would be doing and the activity exceeded their expectations. They have shared their experiences with their peers on return to school, thus widening the impact of the activity throughout all the schools involved. The activities provided by Fablab helped learners to achieve the project goals, namely developing high quality skills and competences. Teachers were also able to experience innovative practices, and to plan activities that enable pupils to learn more about the world of work, following on from their participation in the design and laser cutting activity. Pupils and teachers were amazed by the facilities and equipment which was available for them to use. Martin and his colleague were professional, friendly and patient with all pupils and teachers. Many pupils had limited English language skills and Cardiff Met staff were supportive and understanding, adapting where necessary to ensure all pupils could fully participate and understand what they needed to do. All members of staff commented on the excellent delivery of the activity and explained how the activity greatly impacted the pupils in terms of their improved understanding of using computer aided design as well as their comprehension of the development of a product for sale.